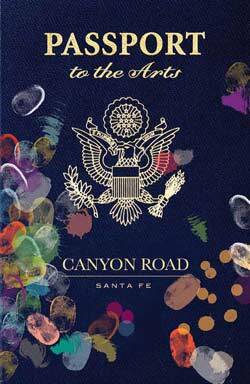 While a guest at Casa Escondida Bed & Breakfast, be sure to take in the “Passport to the Arts Event“, which takes place on Santa Fe’s famed Canyon Road. Casa Escondida B&B is a Santa Fe, NM area bed and breakfast, which is located in historic Chimayo, NM (just 35 minutes north of Santa Fe, on the High Road to Taos). 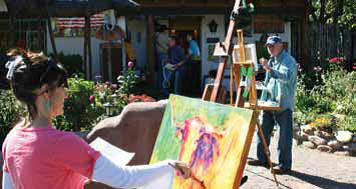 The “Passport to the Arts” event makes for a great Santa Fe, NM weekend getaway. 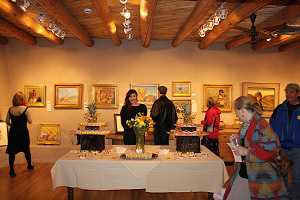 Enjoy 2 days of Santa Fe, NM art gallery openings, special showings and art exhibits, live and silent auctions, demonstrations, a free jazz concert, great food and other performances. Your Passport to the Arts weekend will begin on Friday evening May 11th, 2013. It will continue throughout the day on Saturday, May 12th and then conclude with a free guided walking tour of the beautiful and centuries old buildings of Canyon Road. Your guided walk is led by the “Historic Santa Fe Foundation“. There are over 100 galleries and boutiques on Santa Fe’s legendary Canyon Road. Come stroll the streets, shops, galleries, cafes and gardens of Canyon Road. Be sure to bring a lawn chair for the musical event. Casa Escondida B&B offers wonderful Santa Fe area accommodations. We are a green bed and breakfast that also provides pet-friendly New Mexico lodging in 4 of our 8 guest rooms. We are ideal for your New Mexico travel needs. So when you wonder what things there are to do in New Mexico, put the Passport to the Arts event on your list. The Passport to the Arts event is ideal for a romantic New Mexico getaway or for a terrific family vacation event. You can call us or visit the Casa Escondida Bed & Breakfast website to check room availability and inquire about a reservation. We look forward to having you as our guest!